Start your 7 Day No Risk Trial Today! 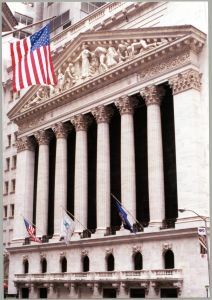 Detailed Stock Reports: These reports include unbiased and independent stock analysis of NYSE, AMEX and NASDAQ stocks. For each stock, the reports contain:Overall Rating & Rank, Valuation & Risk Ratings, Financial Strength Rating, Momentum Rating, Latest Quotes and Charts and Key Financial Data. Stock Risk Reports: These reports include stock risk analysis of NYSE, AMEX and NASDAQ stocks. For each stock, the reports contain: Risk Score, Risk Percentile Rank, Risk-Return Chart, Sharpe ratio and percentile rank, Volatility Comparisons and Risk for Market Indices. Wall Street Experts Stock Rating Reports: These reports include stock ratings using investment approaches of Wall Street experts based on our interpretation of their published writings. These experts include: Warren Buffet, Peter Lynch, William O'Neil, Bill Miller, Richard Driehaus and John Neff. These ratings provide yet another way of evaluating a stock's long-term potential. Stock Screener: This advanced Stock Screener allows you to quickly search for stocks that match your criteria of risk, valuation, financial strength, momentum, overall rating, or Wall Street Experts ratings. Top-Rated Stocks: This list provides top-rated stocks that have very positive overall long-term outlook. This rating is based on the stock's long-term price appreciation potential, risk, long-term growth potential and other factors. Subscribe now and save 33% off the regular prices! Both monthly and annual subscription options come with a FREE 7 day trial (1st time subscribers only). You will not be charged until completion of the trial. If you wish, you can cancel your subscription before the end of the trial period and pay nothing. We have partnered with PayPal so that subscribers can pay for their subscription online via PayPal's secure website. Please note that the charge may appear on your credit card bill as "PayPal" and not "Value Prime."